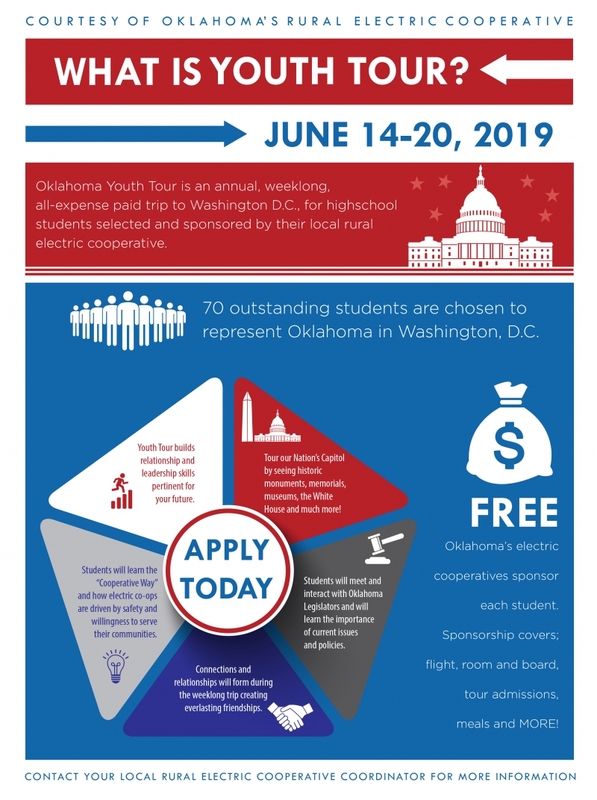 If you are a high school junior, you could be a winner of the Rural Electric Cooperative Youth Tour to Washington, D.C. for a week during June. It’s free, it’s exciting and it’s fun! You’ll join some 1,300 high school juniors from across the United States to learn more about government, rural electrification, leadership, and electric cooperatives. Parents or Teachers interested in Youth Tour please complete the form below.